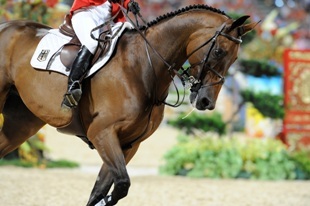 Peden has long been the partner of choice for all the Major International Shows and Events of the Sports Horse World. Provision of our services at World Games, Asian Games, World Cup Finals, World Endurance and other high profile World Championships demonstrates our continued success as the leading International Equine Transport And Logistics Provider for Competition Horses. We work on a continuous basis with European based Organising Committees to ensure the successful transport to and from Shows based on the European Continent. However our specialist domain is working with Organising Committees based outside Europe, in all corners of the globe, to facilitate the safe, efficient and cost-effective transport of horses to and from these international events. Peden Bloodstock handled the flight arrangements for virtually all horses that flew to the World Equestrian Games in Stockholm 1990, Den Haag 1994, Rome 1998, Jerez de la Fontera 2002, Aachen in 2006 and Kentucky in 2010. Peden Bloodstock shipped the European Union & North American origin horses to the Busan Asian Games in 2002, Doha Asian Games in 2006 and the Asian Games in Guangzhou, China in 2010.